Exploring Holotropic Breathwork collects 144 field reports from a widespread practice of contemporary, non-drug, altered-state work. 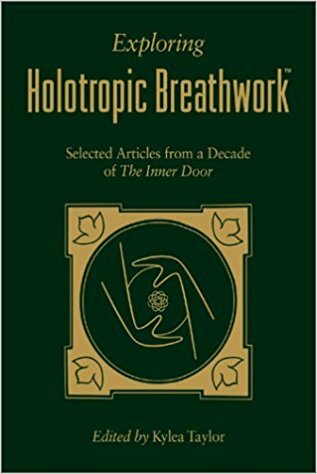 These articles were first published from 1991-2002-85 authors, trained in Holotropic Breathwork (HB) by Stanislav Grof, M.D., who is the author of “Psychology of the Future.” Most of the authors included are professionals in medical, academic, therapeutic, and spiritual fields who also practice HB on a part-time basis. The articles were originally written to share their professional experiences and emerging theories with their peers. Exploring Holotropic Breathwork is therefore a rich source of information, not only giving information about the practice of Breathwork and anecdotes of psychological and physical healing in deep states of consciousness, but also discussing traditional therapy, Kundalini, shamanism, addiction and trauma recovery, astrology, and the integration of Breathwork with many other theoretical and practical systems and with ordinary living in general. The book happily includes a previously unpublished, 21-page article by Stanislav Grof entitled “Physical Manifestations of Emotional Disorders” in which he concludes that faster breathing creates a biochemical situation in the body that facilitates emergence and resolution of old emotional and physical tensions associated with unresolved psychological and physical traumas. There is a 16-page index and 18-page annotated table of contents to facilitate the use of this unique book as a reference.